South Korean action thriller "Master" dominated the local box office on the day of its release, said a state-supported organization on Thursday. According to the Korea Box Office Information System (KOBIS) tallied by the Korean Film Council (KOFIC), the movie was screened at 1,448 theaters on Wednesday, garnering 393,247 viewers and taking up 66.3 percent of the total box office sales that day. 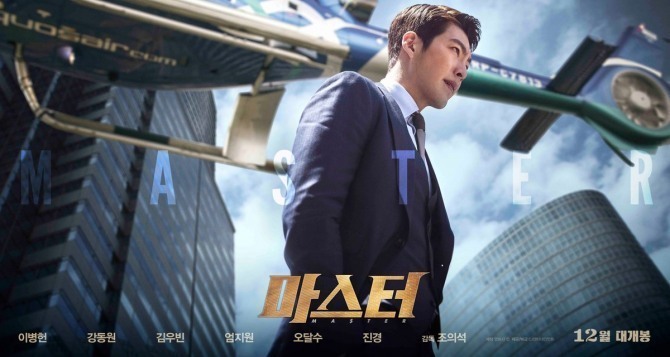 "Master," starring high-profile actors Lee Byung-hun, Kang Dong-won, Kim Woo-bin and Oh Dal-su, portrays the intellectual war among a con man, his sly right-hand man and a police investigator over a major financial scandal. The real-time reservation rate for the action flick recorded 53 percent as of Thursday morning.